As purchased in 1989 by my father and then given to me to restore after my return from Army Basic Training. 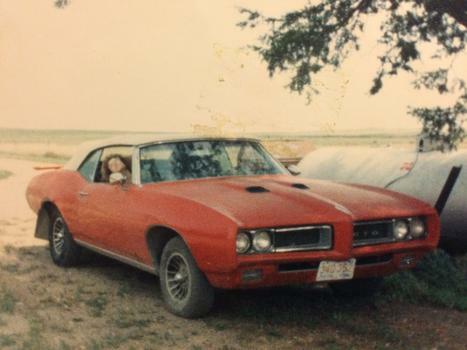 It had a long list of wrong equipment to include the 1970 rear spoiler, 1968 nose and inserts, Chevy engine mounts welded to the frame and a tired Chevy 350 installed......she needed help. 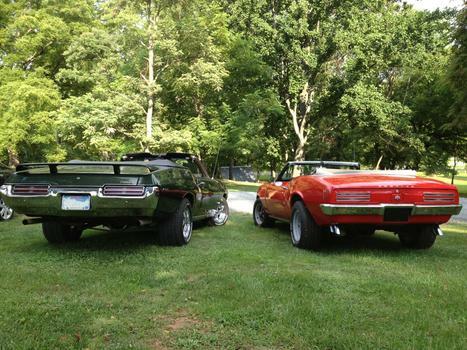 Love my GTO's original green paint, but the Camaro color scheme is perfect in this case......well, what you can see of it I guess. 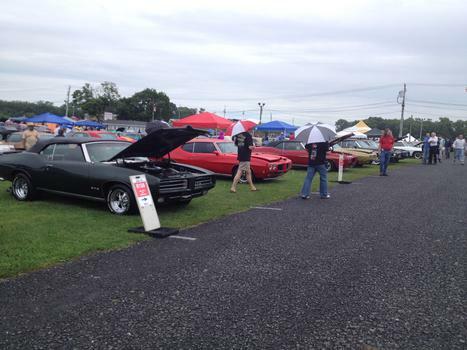 Carlisle 2014. 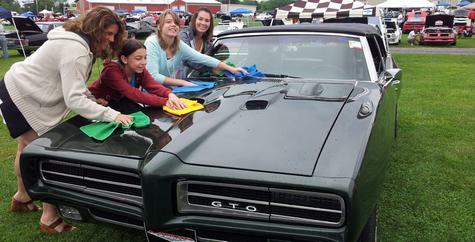 GTO's 50th Anniversary was a family event. A little rainy so the girls helped out a bit. Carlisle 2014 with the boss. I really do like the new look. Liked the old one but love the new. Gotta' get that thing back on the road. 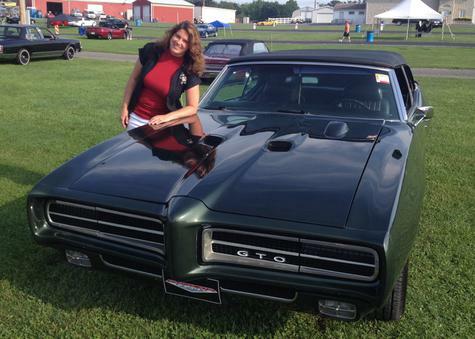 I HAD A 68 VERDORA GREEN COUPE---I THINK THAT GREEN WAS ONLY AVAILABLE IN 68. IT'S A GREAT COLOR! Rag-tops rule !!! Thumbs Up !!! Thanks....the 15X10s with 5.5 offset fit extremely well and I always loved the Cragar SS look. 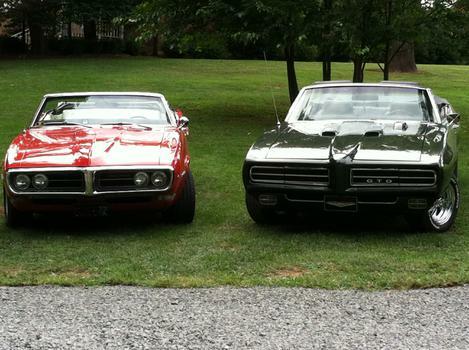 Cragars can't be beat for '60s Muscle Cars. You have a beautiful car! 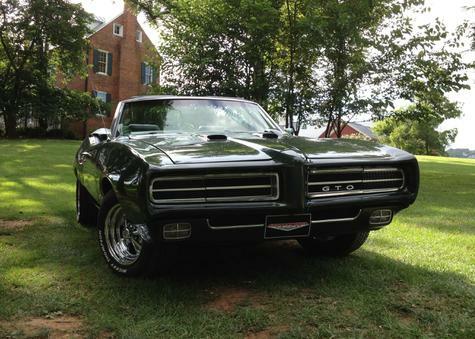 My husband and I went to the Tiger Run GTO Car Show in Oregon recently, so I really appreciate the vintage Pontiacs. Thanks MustangGirl. I have had it for a long time and we have gone through ups and downs. Very glad I was able to keep it and actually fix it up through it all. Love it, sweet ride my friend ! green is where its at ! Thanks! I do love the green. Looks tough. 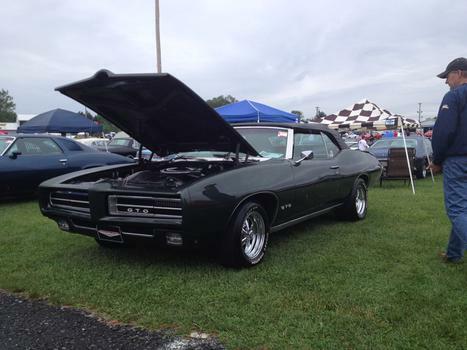 Beautiful car...why was it in the modified class at Carlisle? Modifications include Cragar SS wheels, Poncho 428, TKO 5 speed, Ignitor distributor conversion, 1" drop front springs, anti-hop braces, Ram Air headers and 2.5" exhaust with dumps. 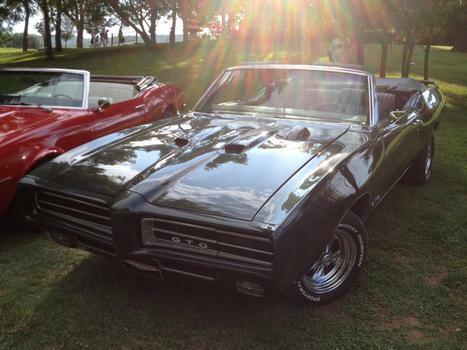 Beautiful restoration, and great set of mods! I bet that 5-speed is nice!